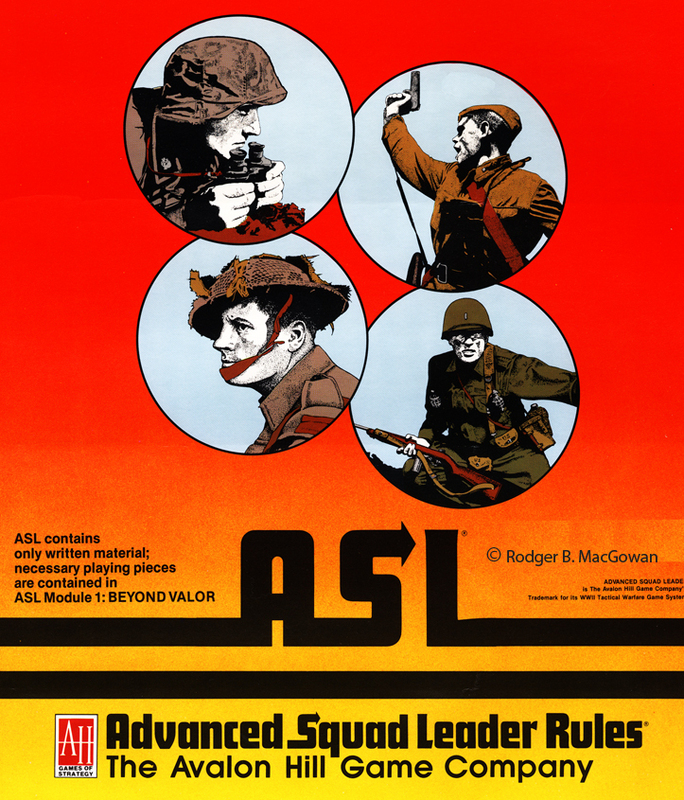 Being without a computer set up for VASL has meant no ASL for the last few weeks so when James was available for a FTF game I was hardly going to turn it down was I? What to play was as easy really as both James and myself have copies of PiF and with so many to choose from I went towards the back of the pack picking out BFP-140 Iron Greeting. Heroes in Blackpool is less than two weeks away so I wanted something that included AFV's so as to help clean off the rust as James has had less play than I of late. This scenario has the Russians defending against a Polish counter attack starting with seven squads and a 37L ATG. James by comparison had thirteen squads and six tanks (my six come on as reinforcements with a further four squads). The boards are both new, BFP R & Q with Q sporting the new stone and wood mixed material buildings we had playtested way back. I took one look at James set up and knew I was in trouble. He was set to punch straight through my forward defence and I had little behind it to stop him. I would have to scramble the rest of my troops from the flank to try and slow him down. Turn three reinforcements seemed to be a long way off. I was fortunate that James kept his prep relatively light, though I had a forward 447 squad broken. He then ran two half squads into real squads which he had expected to be dummies and this slowed him down a little. I defensive fired with quite good results and started to relax. Big mistake, James advance fire broke another squad on the main defence and another on my right flank. My turn 1 was all about moving units to try and occupy the last of the victory building locations and keep out of Polish LOS. Where I did stand and fight though I did break a couple of stacked squads. James turn two saw him use a platoon of three tanks to cut off rout paths costing me a squad and DM'ing another. He was to do this on turn three as well! I expected him to move faster but he was content in cutting off another unit in the expectation of breaking it later. Again I started to relax when my defensive fire broke yet more Poles but again I paid the price. By the start of Polish turn 3 I had lost two squads, a third was ripe for the taking and another had suffered ELR and become conscript. James to cover his broken stack on his left flank kept a pair of squads back, this was smart thinking as I would have happily sent a squad or leader off to keep them DM but it did even the odds a little in the front line. He made the mistake of leaving one three tank platoon in motion and the other was operating in effect behind my lines. He was now mopping up the first of the three VC buildings and had troops ready to take the second during close combat which they did with ease. My turn three saw a key Polish unit break to prep which allowed me to get three of the four reinforcing squads into the edge of the village. My tanks having 22MP's meant I was able to come round behind his motion platoon and set up for a turkey shoot. The other three ran into the village and blocked the open route into the last VC building. At last I was starting to apply my will on the game. James quickly took out a tank that I had allowed him a shot at. The only compensation was that it meant his platoon was staying in position. A move round the flank and freezing a squad or two was what I had feared. The three ambushed tanks scuttled off surviving all my fire much to my annoyance. But James had paused in his attack, I would get troops into the last victory building in force before he could attack it. The ambushed platoon had positioned itself such that one tank of his could still fire on mine but I was to fire first. My next shot was a CH burning his tank out and with the smoke generated reduced the effectiveness of his kill stack. I packed the building with troops and awaiting his next turn. James attacked heavily in turn five but half his attacking troops were broken. The tanks mostly ignored each other going after infantry but just as it seemed the Poles would get into the building a lucky sniper broke the lead squad. My fifth turn failed to break any of James units, here we go I thought as the defensive fire phase came round. I suffered the one broken squad which was replaced in the advance phase. 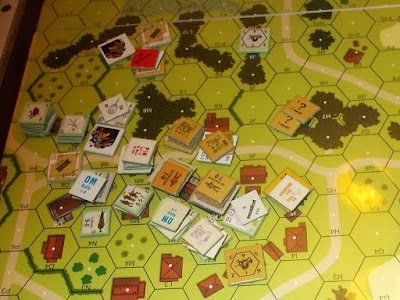 I had the building loaded with troops adjacent for a last turn counter attack if required. With troops upstairs as well as down I was in an extremely strong position going into the Poles last turn. James prep failed to break any of my troops, it was his turn to try and survive defensive fire but without the +3 cover. As you would expect he suffered a few breaks and enough pins that meant he could not advance into the two ground level hexes to try and break me in my last turn. It was now mathematically impossible to win and James conceded. So how did it play? Well I thought I was on the losing side from the moment I came back in the room post James set up. Through the first two turns I went from your losing to just maybe you can do it. Turn three actually had me thinking I had a better chance of winning if James did not attack hard. In the end it kind of worked for me that he did try for the building rather than trying to isolate it. My tanks simply put him off. Turns 5 and 6 I finally felt in control as his infantry were slow at rallying. As for Poland in Flames as a product? Well I have playtested a fair few so I already know it has some excellent scenarios in it and whilst I don't think this is a future classic it does allow both sides to mix up attack and defence so it should get some solid play and it's small enough to get played through in an evening. I would be happy to play it again and it's always good to have a scenario where the Poles are attacking. 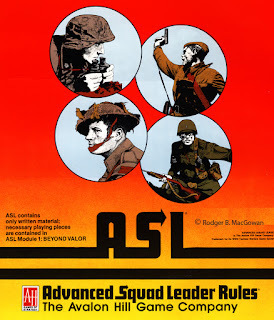 Though I never got into ASL, have played basic Squad leader and ASL Starter games over the years. Great to have an AAR to read and look forward to more to come. Would love more pics of the situation as it unfolds.